May Chang Essential Oil, 5 ml. 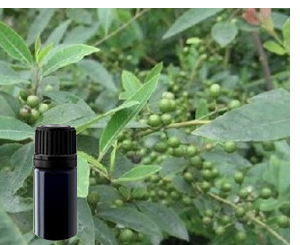 Litsea Cubeba Essential Oil is distilled from the dried fruit of a small tree that produces a pepper-like fruit. It grows mainly in China but can be found in parts of Indonesia and Japan. In traditional Chinese medicine, all parts of the tree were used, but May Chang found its way into the aromatherapy world as a source of citral, used mainly in the fragrance industry. However, it has a reputation for stopping the growth of cancer so as the plant becomes better known outside China, more and more studies are being conducted. The fragrance is lemony and uplifting, but heavier than lemon. The oil can be used to clean surfaces in the kitchen, like the cutting board or other areas that need to be as clean as possible. The oil is germicical and deodorizing. While this is good, the downside is that it may be irritating and not safe for long-term use. Contents: Steam distilled certified organic dried fruit of Litsea cubeba.